The first two photos are from yesterday; others are from today. This is my street. 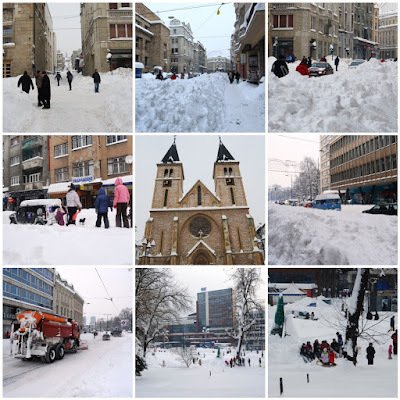 Snow that was falling from Thursday till yesterday completely paralyzed my country and so my Sarajevo. People who had to go out of home could go to their destinations only by foot because traffic didn’t work at all. 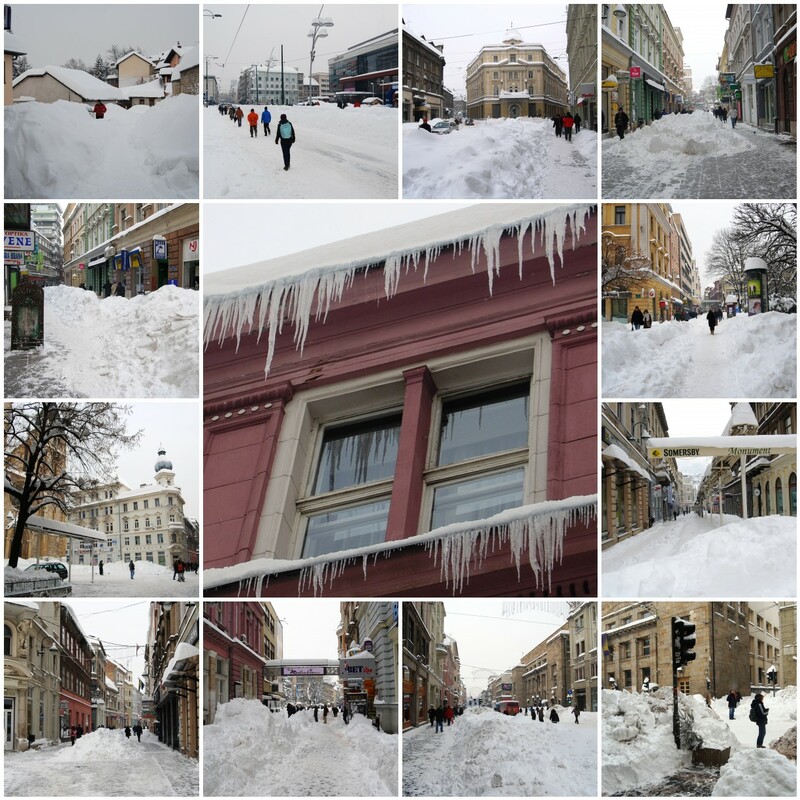 We got more than 1 meter of snow blanket. Schools are closed until next week. Exams for University students were also postponed. But Sarajevans once again showed the power of their spirit and took advantage of this difficult weather conditions to have some fun. 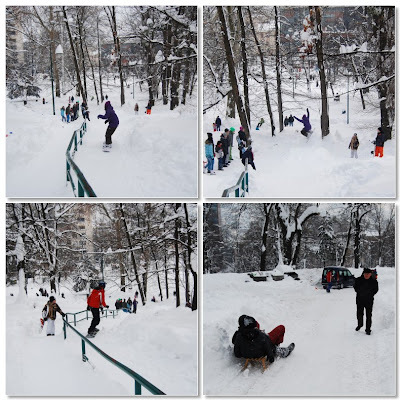 People have been organized in removal of the snow; some have enjoyed in walking, children enjoy in sledging, snowboarding or making snowmen; some were so extreme and jumping into the snow from the windows or garage. It is my work day tomorrow. I hope public transport will be able to work like they have announced over TV. I am a woman from Sarajevo; B&H. Photographing is my hobby. 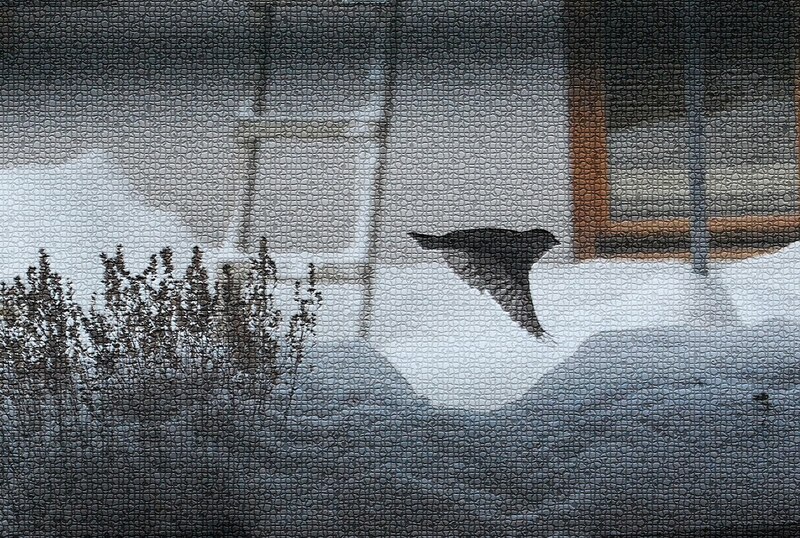 I have enjoyed taking photos any chance I get. I started this blog after being inspired by other blogs that I use to visit. This is a place for me to share my photos with friends, family and whoever happens to pop by. I would like to say hello and thanks to all who have taken the time for a visit and a friendly comment.